PLEASE READ THESE TERMS AND CONDITIONS OF USE CAREFULLY BEFORE USING THIS SITE. 420 Dot Com at http://420dotcom.com/has created this Internet site on the World Wide Web. This site provides Internet-based communications and information services to the consumer. By using this site, you signify your agreement to these Terms and Conditions of use. You must agree to these Terms and Conditions in order to use this site. Please read this document carefully. If you do not agree to all of the Terms and Conditions of this agreement, please do not use this site and leave immediately. 420 Dot Com may revise and update these Terms and Conditions at any time. Please periodically review the Terms and Conditions posted on this Web site because your continued usage of this Web site will mean you accept any changes. 420 Dot Com does not recommend or endorse any specific products or procedures that may be mentioned on the Site unless specifically stated at the point of discussion. Any opinions expressed on the Site are the opinions of the authors. 420 Dot Com does not assume any liability for the contents of any material provided on the Site. 420 Dot Com does not assume any liability or responsibility for damage or injury to persons or property that happens from using any product, information, idea, instruction, picture, plan, or link contained in the materials provided to you. Upon acceptance of these Terms and Conditions, 420 Dot Com authorizes you to view or download a single copy of the material on this Web site for your personal, noncommercial use. All materials on this site, including pictures and videos, are the copyrighted property of 420 Dot Com and/or their respective owners. The contents of the Site, such as graphics, images, and other material are protected by copyright under both United States and foreign laws, and title to the Content shall not pass to you or any other Subscriber or User. Unauthorized use of the Content may violate copyright, trademark, and other laws. None of the Content may be reverse-engineered, disassembled, decompiled, reproduced, transcribed, stored in a retrieval system, translated into any language or computer language, re-transmitted in any form or by any means (electronic, mechanical, photo reproduction, recordation or otherwise), posted, printed, resold, or redistributed without the prior written consent of 420 Dot Com and/or its respective owner. You may not sell or modify the Content or reproduce, display, publicly perform, distribute or otherwise use the Content in any way for any public or commercial purpose. The use of the Content on any other website or in a networked computer environment for any purpose is prohibited. Third party and added content comes from sources believed to be accurate, but may contain inaccuracies or typographical errors. 420 Dot Com makes no representations about the results to be obtained from using the Site or the Content. The use of the Site and the Content is at your own risk. You acknowledge that in connection with the Site, information will be transmitted over local exchange, inter-exchange and Internet backbone carrier lines and through routers, switches and other devices owned, maintained and serviced by third party local exchange and long distance carriers, utilities, Internet service providers and others, all of which are beyond the control and jurisdiction of 420 Dot Com and its suppliers. Accordingly, 420 Dot Com assumes no liability for or relating to the delay, failure, interruption or corruption of any data or other information transmitted in connection with use of the Site. The Site and the Content contained therein are provided on an “as is” basis without any warranties of any kind. 420 Dot Com, their licensors, and their suppliers, to the fullest extent permitted by law, disclaim all warranties, either express or implied, statutory or otherwise, including but not limited to the implied warranties of merchantability, non-infringement of third parties’ rights, and fitness for a particular purpose. 420 Dot Com, their licensors, and their suppliers make no representation or warranties about the accuracy, reliability, completeness, currency or timeliness of the content, software, text, graphics, links, or communication provided on or through the use of the Site. 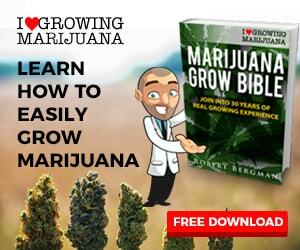 420 Dot Com, their licensors, and their suppliers do not make any warranty that the Content contained on the Site satisfies government regulations requiring disclosure of information on prescription drug products. In no event shall 420 Dot Com, their licensors, their suppliers or any third parties mentioned on the Site be liable for any damages whatsoever (including, without limitation, incidental and consequential damages, lost profits, or damages resulting from lost data or business interruption) resulting from the use or inability to use the Site or the Content whether based on warranty, contract, tort or any other legal theory, and whether or not 420 Dot Com is advised of the possibility of such damages. 420 Dot Com shall be liable to you only for gross negligence or willful misconduct and only to the extent of actual damages incurred by you, not to exceed $1,000. Remedies under this agreement are exclusive and are limited to those expressly provided for in this agreement. Except as described herein, any communication, which you post on the Site is considered to be non-confidential. You agree that you will not upload or transmit any communications that infringe any patent, trademark, trade secret, copyright or other proprietary rights of any party. By submitting communications to any part of this Site, you automatically grant — or warrant that the owner of such content has expressly granted — 420 Dot Com a royalty-free, perpetual, irrevocable, world-wide nonexclusive license to use, reproduce, create derivative works from, modify, publish, edit, translate, distribute, perform, and display the communication alone or as part of other works in any form, media, or technology whether now known or hereafter developed, and to sublicense such rights through multiple tiers of sublicenses. 420 Dot Com may provide Interactive Areas on the Site such as forums. If you use an Interactive Area, you are completely responsible for your own communications and the consequences of posting those communications. 420 Dot Com does not assume any responsibility for the consequences of any Interactive Area communications on or arising from use of the Site. Engage in any other conduct that restricts or inhibits any other person from using or enjoying the Interactive Areas, or which, in the judgment of 420 Dot Com, expose 420 Dot Com or any of their customers or suppliers to any liability or detriment of any type. Through your use of the Site’s Interactive Areas, you are agreeing to all of the aforementioned Terms and Conditions for the use of such Interactive Areas contained herein. The Site may contain links to third party Web sites. These links are provided solely as a convenience to you and not as an endorsement by 420 Dot Com of the content on such third-party Web sites. 420 Dot Com is not responsible for the content of linked third-party sites and does not make any representations regarding the content or accuracy of materials on such third-party Web sites. If you decide to access linked third-party Web sites, you do so at your own risk. Your use of third-party Web sites is subject to the Terms and Conditions of use for such sites. The Site may contain advertisements by third parties, and these advertisements may contain links to other Web sites. Unless otherwise specifically stated, 420 Dot Com does not endorse any product or make any representation regarding the content or accuracy of any materials contained in, or linked to, any advertisement on the Site. If you decide to access advertised third-party Web sites and or use their products or services, you do so at your own risk. You agree to defend, indemnify and hold 420 Dot Com, their owners, officers, directors, employees, agents, licensors and suppliers, harmless from and against any claims, actions or demands, liabilities and settlements including without limitation, reasonable legal and accounting fees, resulting from, or alleged to result from, your use of the Newsletter subscription, Content, or the Interactive Areas in a manner that violates or is alleged to violate these Terms and Conditions. 420 Dot Com shall provide notice to you promptly of any such claim, suit, or proceeding and shall reasonably cooperate with you, at your expense, in your defense of any such claim, suit or proceeding. 420 Dot Com is based in Skagit County, Washington, in the United States of America. 420 Dot Com make no claims the Content is appropriate or may be downloaded outside of the United States. Access to the Content (including Software) may not be legal by certain persons or in certain countries. If you access the Site from outside the United States, you do so at your own risk and are responsible for compliance with the laws of your jurisdiction. The term advertiser here refers to registered advertiser, their employees, volunteers, and any and all that represent them. We reserve the right to discontinue, delete, or cancel any ad, set of ads, campaign, account, or advertiser at any time, for any reason we state, and without notice. Advertisers and account holders have the same right. In the event that an account or advertiser account is canceled, all remaining unspent funds left in that account will be returned to the account owner through Paypal. Ad rates can and will change. Advertisers will be notified before such changes take place. It is recommended and the advertisers responsibility to track their ad performance and statistics in regards to all aspects including unique page views and clicks. While we take great measure to ensure correct tracking and statistics on the advertisers behalf, it is the advertisers responsibility to check stats daily and either confirm or make us aware of any potential conflicts. By using our advertiser services, the advertiser agrees that they will make us aware of any tracking and reporting conflicts immediately and that any potential remedies are only good for the monthly pay period in which the conflict happens and is reported and is not retroactive to any previous months or pay periods that escaped due to the advertisers negligence in checking stats and reporting conflicts. All ads are accurately tracked and recorded within our advertising system and are visible within your account. It is advised and recommended that in addition to our tracking system, you also track your ads and campaigns with your own tracking software on your own server to help confirm the accuracy of our system and avoid any disputes. It is the responsibility of the advertiser to compare stats at the end of each month to insure accuracy. You expressly agree that exclusive jurisdiction for any dispute with 420 Dot Com, or in any way relating to your subscription to or use of the Site, resides in the courts of the State of Washington and you further agree and expressly consent to the exercise of personal jurisdiction in the courts of the State of Washington in connection with any such dispute including any claim involving 420 Dot Com. or their affiliates, subsidiaries, employees, contractors, officers, directors, telecommunication providers and content providers. These Terms and Conditions are governed by the internal substantive laws of the State of Washington, without respect to its conflict of laws principles. If any provision of these Terms and Conditions is found to be invalid by any court having competent jurisdiction, the invalidity of such provision shall not affect the validity of the remaining provisions of these Terms and Conditions, which shall remain in full force and effect. No waiver of any of these Terms and Conditions shall be deemed a further or continuing waiver of such term or condition or any other term or condition. EXCEPT AS EXPRESSLY PROVIDED IN A PARTICULAR “LEGAL NOTICE” ON THE SITE, THESE TERMS AND CONDITIONS ARE THE ENTIRE AGREEMENT BETWEEN YOU AND 420 Dot Com IN REGARDS TO THE USE OF THE SITE AND CONTENT CONTAINED IN IT. Thank you for your cooperation with these Terms and Conditions. We hope you find the Site helpful!